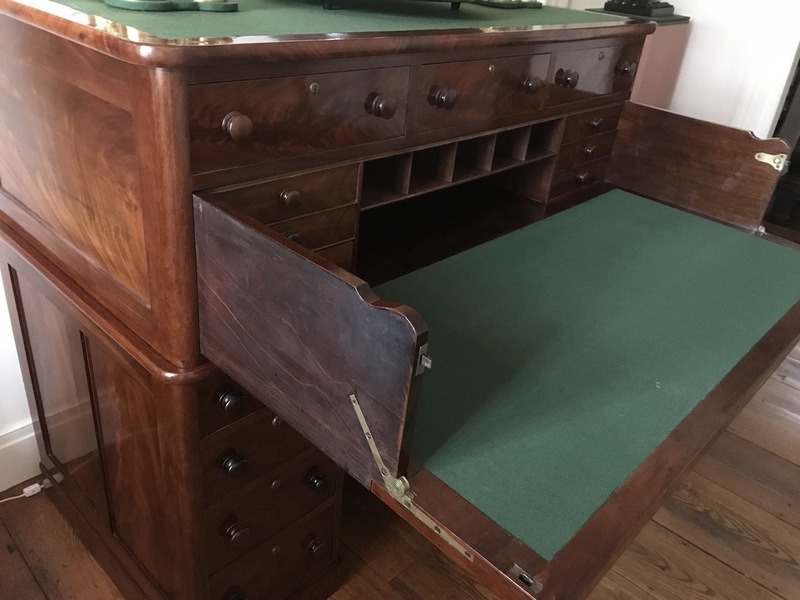 This handsome utilitarian pedestal desk is attributed to the cabinetmaking firm of Stephen Smith and Company who worked in the Boston area for nearly fifty years. An invoice from Smith mentions various forms of desks including a “double standing desk”. 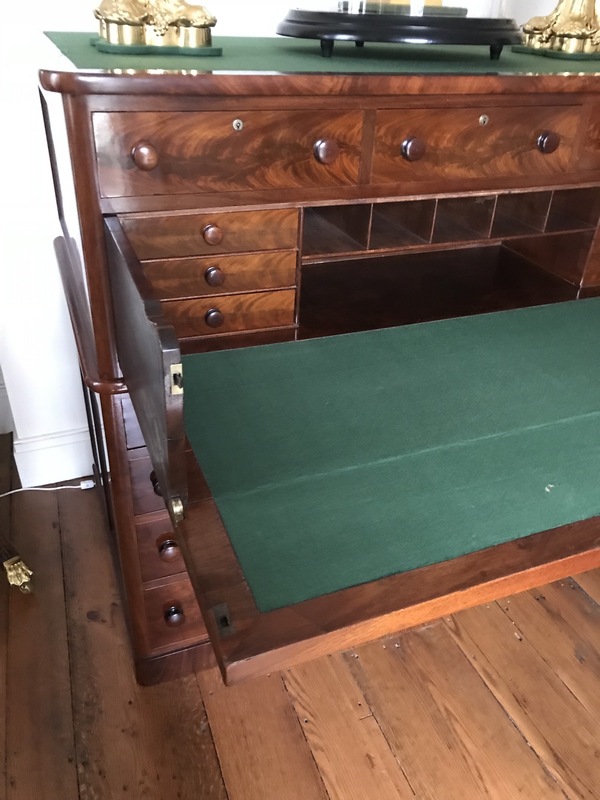 This desk could be used in a sitting or standing position. A wool baize covers the entire top and also the pull out writing surface. 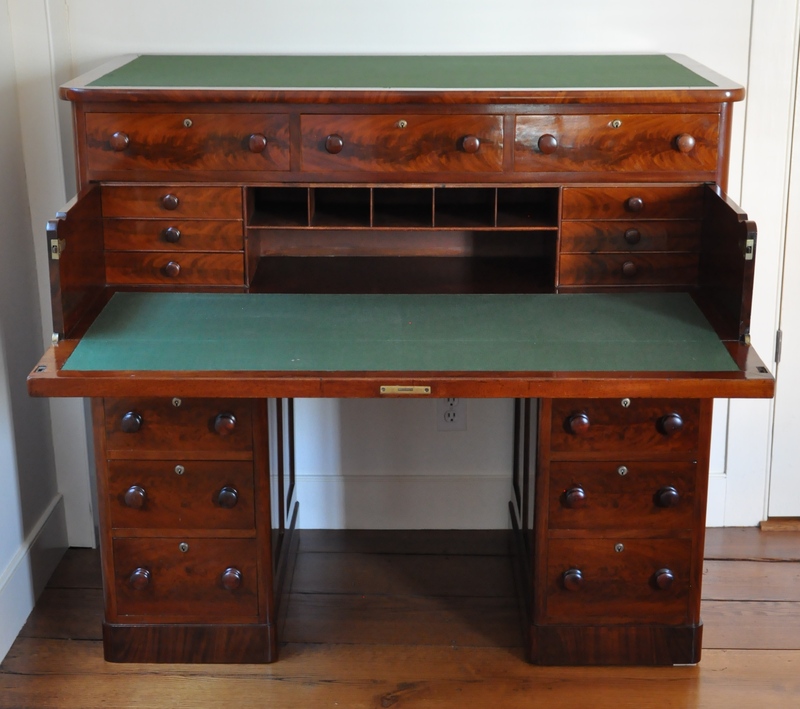 The desk is finished all the way around in beautiful mahogany veneers. 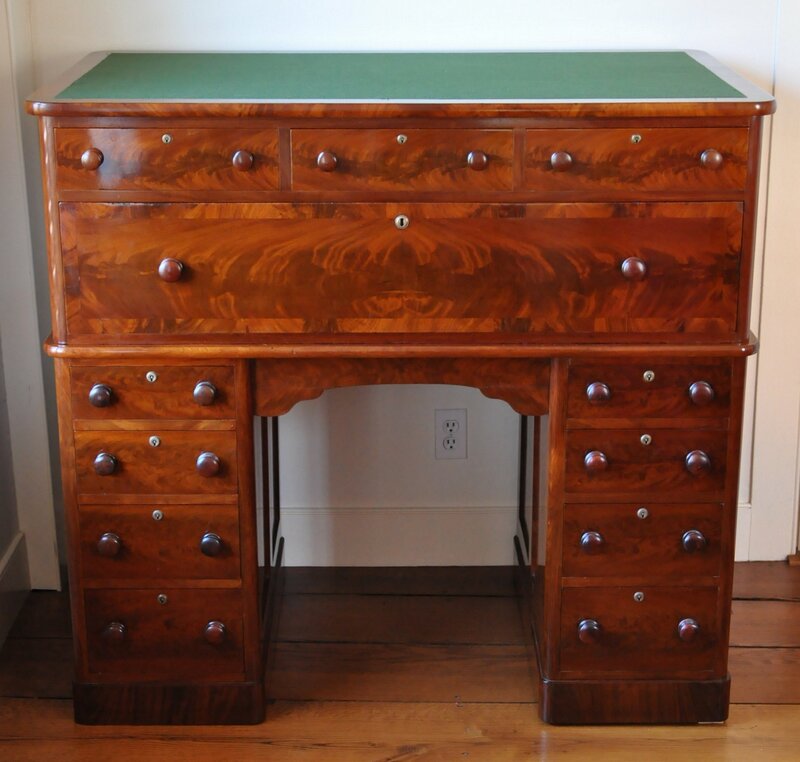 A virtually identical but more conventional pedestal desk appears in the Hirschl and Adler Galleries 1999 exhibition, Boston in the Age of Neo-Classicism 1810-1840, and is illustrated on page 71 of the exhibition catalog.